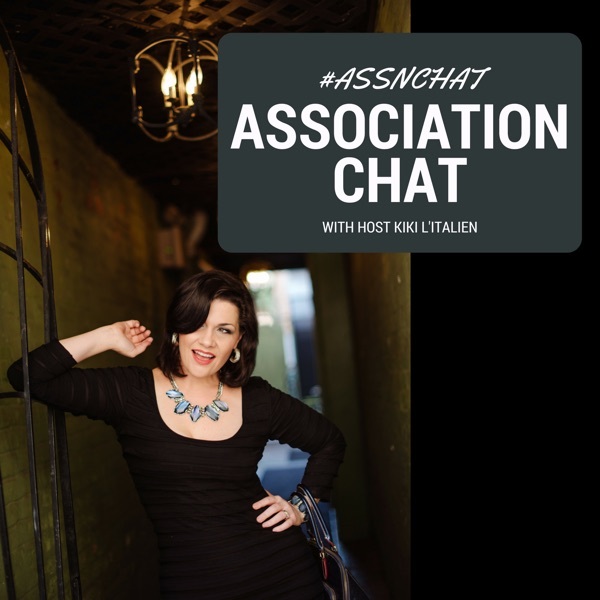 KiKi and her guests provide some incredibly actionable and compelling content, spotlighting the absolute best tactics and coming trends to help you effectively grow your association.Highly recommend listening and subscribing to the Association Chat Podcast if you want the knowledge AND mindsets to stay ahead of the curve (and reach your overall business goals as a result)! ...and I listen to dozens of podcasts. Whenever a new episode is released, it goes to my "play next" list. KiKi brings in fascinating and relevant guests. I love her questions and commentary--deep and real. A must-listen for the association community. As a guy who owns a business dedicated to helping associations deploy review sites, clearly my endorsement of AssnChat is credible and legitimate! Who Needs Audio Books When Association Chat Is Around? Long commute? Kiki L'Italien and her team are lively company as they examine trending issues and innovations affecting nonprofits and associations. Although you can watch them live every Tuesday afternoon via #AssociationChat, I often listen to the podcasts later as I'm driving. A nice mixture of topics often crowdsourced by her growing number of followers.